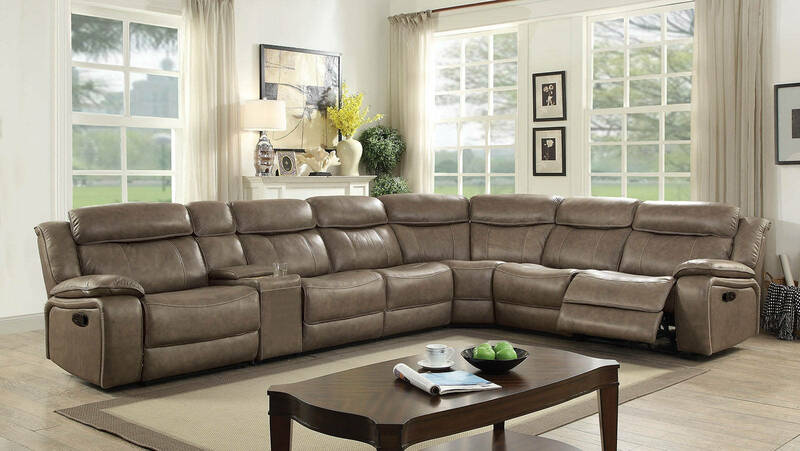 The luxury of leather can be had by everyone with this sectional sofa. Top grain leather wraps the entirety of this sectional's thick padding. The arms are like pillows attached to wide tracks. The backing is bulbous and tufts out. Contoured seating hugs you and keeps you comfortable for hours. Amenities like a console with cup holders and reclining offers the ultimate pampered comfort.